Can you reassure me that this printer can use substitute cartridges and / or replacement cartridges (not refilled). I've recently purchased one and have previously always used compatible inkjet cartridges from a different supplier in my old Epson printer which has just died after several years of use? Yes, we sell compatible inks for use within the (UK model) Epson Stylus Office B42WD. They are very reliable, high in quality and are covered by a 30 day money back guarantee so if you're unsatisfied with them in any way we promise to refund your money. Save time and money with the Epson Stylus Office B42WD. This high-speed inkjet printer is affordable and is 50% cheaper than laser printers while providing laser-like quality output. A great choice for demanding small business environments, it has a print speed of 15ppm for black prints and features automatic double sided printing to save time and increase productivity. The sleek design of the Epson Stylus Office B42WD makes it suitable for small desktops. With dimensions of 445 x 330 x 154 mm and weighing 4.5 kg, it is relatively portable. It boasts Ethernet and Wi-Fi connectivity options and a paper capacity of 250 sheets. Small offices on a budget will appreciate the Epson Stylus Office B42WD's efficiency. It saves a lot of money with its 4-colour inkjet system. The double-sided printing function is automatic. The Epson Stylus Office B42WD also boasts high paper capacity. It is simple and easy to use, and is suitable for printer sharing environments, thanks to the Wi-Fi support. 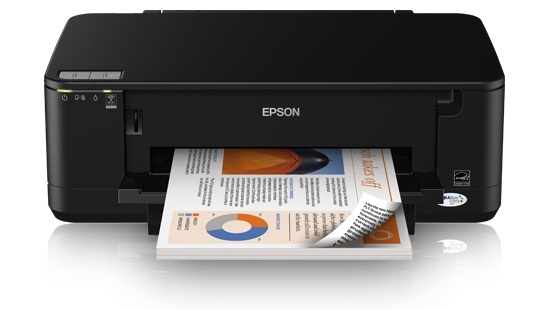 The Epson Stylus Office B42WD is a cost effective solution with very few problems. Some users complain that print speed slows down when the duplexer is used, and that the draft mode yields inferior prints.